comic writing | ...Prepare to Die. Continuing from my writing inspiration video, I talk about different tools and tactics you can put to use when brainstorming or organizing your story ideas. My top recommendations for books on writing and the writing industry. Good for anyone looking for inspiration, direction, or simple knowledge. #1: Comic Writing– Get Your DC Out Of My Marvel! Writing comics is like having your eye ripped out and stuffed back into your head backwards. The hardest part about writing comics, I must say, is trying to organize the panels. I mean, you’re sitting there typing all of this out in script form. You see the scenes, you hear the voices, you know where things are going…but how do you know what things to put on a page? How big should the panels be? How do you pace things out so that it keeps a well-maintained rhythm that doesn’t disrupt the plot? You try to envision the page design in your head…but as a writer it’s harder. You can’t as easily freeze a perfect moment and SEE it on the page like maybe your artist might. You see the scene as a WHOLE, not in SNAPSHOTS. That’s why it helps to sketch out a page. That’s why it helps to SEE how things could work in final format. Now, I’ve tried sketching things out myself, but I’m impatient and can’t draw half the things I describe (plus my design skills aren’t all so great.) …But I’ve found a program online that can help. 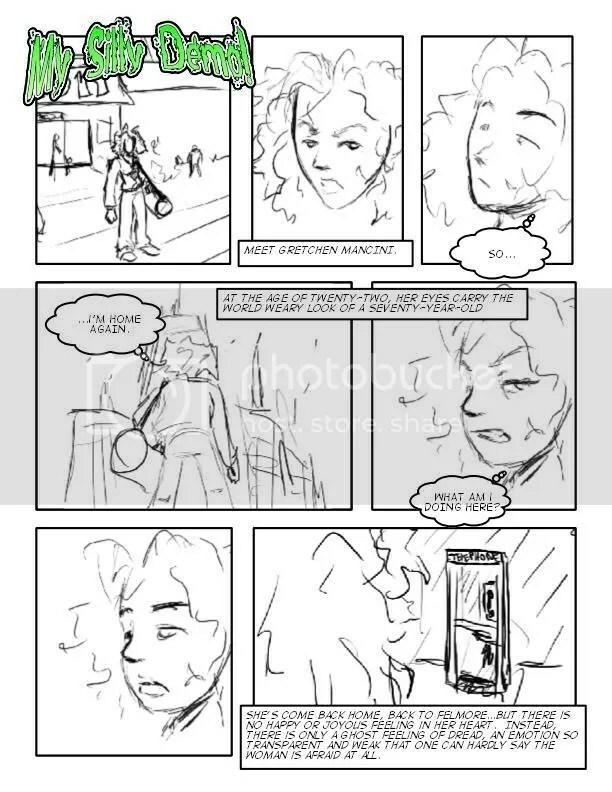 Mac users may be familiar with a program called, “Comic Life.” The program is a nifty little thing that allows users to take images of any kind, and arrange them on pre-formatted panels (which you can edit and resize to your liking.) They feature neat things like captions, and talk bubbles, and comic lettering, to help spruce up your comic-in-the-making. For those drawing comics or writing comics (or both)–this can be VERY useful. Now, the program was originally made only for Macs…but fear not, PC users! I’M not a Mac user, and I used the program! The developers of Comic Life have now undergone the beta stages of their Windows version. They’re currently asking for PC users to download the program and test it out for bugs. If you want to try this amazing tool, go there now and download the beta version! But what about the bigger details? What about the struggles of new comic creators in an industry now grown elitist and isolated? So there you go. Feel disheartened no more, fellow comic newbies. We’ve still got a chance. But we still need help, don’t we? We still need some guidance. P.S. And just to justify my titling of this post…I’d just like to say that Spiderman 3 was a disaster–almost as bad (if not, worse) than X-men 3. The coming Fantastic Four movie will only earn money from me because they’ve got the Silver Surfer in it…and the upcoming Batman movie (said to have Joker in it) had better be good. I hear that Heath Ledger is playing Joker, and my heart can only cry at the fact that–even without Ledger–Hollywood will NEVER get the maniacal marvelousness that is Joker down right.